Early diagnosis and treatment are often emphasized as part of successful management of rheumatoid arthritis. Tender and swollen joints are typically among the first signs of the disease. Pain, redness, and warmth at the site of affected joints may also be early signs of an inflammatory type of arthritis. While many different joints can be affected by rheumatoid arthritis, certain joints are characteristically involved. Knowing which joints are most commonly affected by the disease can help you recognize early signs and symptoms and help you realize the importance of consulting with your doctor, without delay, if those symptoms occur. Also, joints affected by rheumatoid arthritis typically occur in a symmetrical pattern (i.e., same joint is affected on both sides of the body), providing yet another important clue. Small joints of the hand, wrist, foot, knee, and ankle are characteristically affected by rheumatoid arthritis. A pattern of involvement with the MCP (metacarpophalangeal) joints, PIP (proximal interphalangeal) joints, and the wrist is highly suspicious of rheumatoid arthritis, but not definitive. The pattern of symptoms must be differentiated from osteoarthritis, psoriatic arthritis, and pseudogout. The knee joint and MTP (metatarsophalangeal) joints also are often involved with rheumatoid arthritis. Other joints that may also be symptomatic of rheumatoid arthritis, but less commonly, include the shoulder, elbow, ankle, tarsal, hip, acromioclavicular joint (above shoulder), sternoclavicular joint (connects breastbone to collarbone), temporomandibular joint (jaw), and joints of the cervical spine. Rheumatoid arthritis typically does not affect the lumbar spine, thoracic spine, sacroiliac, costochondral (rib area), or the first carpometacarpal joint (base of the thumb). Pain and swelling of the DIP (distal interphalangeal) joints is usually associated with osteoarthritis and not typically caused by rheumatoid arthritis. When you consult your doctor, you may only bring the most bothersome joint to his attention—the one that is most painful or causing the most interference with usual activities. A thorough joint examination will be performed, not only of that specific joint, but others as well. Your doctor will visually inspect your joints for swelling, redness, and deformity; passively move your joints to determine if range of motion is normal or abnormal and to determine if movement exacerbates pain; palpate (examine by touch) for pain, warmth and tenderness. Aside from pain, tenderness, swelling, and limited range of motion, your doctor will also examine your joints for crepitus and joint instability. While it is important for your doctor to accurately note the presence or absence of specific findings during the joint examination, ultrasonography and MRI (magnetic resonance imaging) are more sensitive for detecting synovitis and detailed abnormalities. 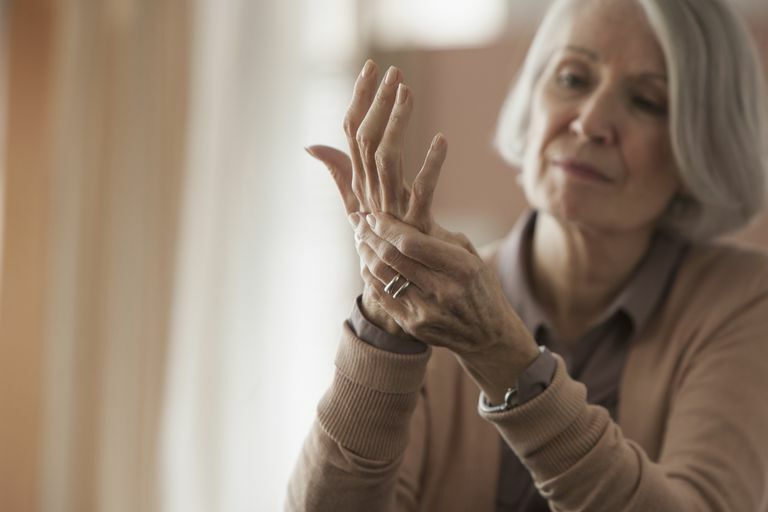 Physical signs of rheumatoid arthritis, which would be evident during a joint examination, can be scarce in early stages of rheumatoid arthritis. That's why a joint examination, while an important part of the diagnostic process, is just that—one part. Your medical history, blood test results, and imaging studies also are necessary aspects when framing an accurate diagnosis. Rheumatoid Arthritis: Early Diagnosis and Treatment. Joint Involvement. Page 32. John J. Cush, M.D., Michael E. Weinblatt, M.D., Arthur Kavanaugh, M.D. Third edition. Published by Professional Communications, Inc.
Rheumatoid Arthritis. Edited by Raashid Luqmani, Theodore Pincus, Maarten Boers. Chapter 3. Diagnosis and clinical features of rheumatoid arthritis. Oxford Rheumatology Library. Oxford University Press. 2010. Kelley's Textbook of Rheumatology. History and Physical Examination of the Musculoskeletal System. Davis, Moder, Hunder. Part 5. Chapter 40. Published by Elsevier Saunders. Ninth edition.